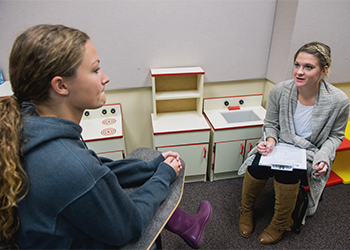 Candidates for the Bilingual English-Spanish (BIES) specialization must be accepted to the master’s degree program in speech-language pathology first. Once accepted to the M.S. program, applicants that marked interest in pursuing a BIES specialization on their application are then reviewed separately for admission to the BIES program. Admission is based on review of academic potential and evidence of Spanish proficiency. A Spanish major is not required for admission. Apply to M.S. program using CSDCAS. Additional instructions/FAQ. Answer BIES specific questions included on M.S. application through CSDCAS. Intermediate High or above is passing. A description of the various proficiency levels can be found in the ACTFL Proficiency Guidelines.